The other day while picking up some groceries at the the Berkeley Bowl, I came across a bag of adorable little multi-colored potatoes that I had to buy for sheer cuteness. They were tiny little guys, about the size of a marble in all shades of pink, purple, and tan. I really didn’t know what to do with them but I figured they would at least be fun to look at. After a few days of admiring them on my counter top, it was time to put them to use. I don’t cook potatoes that often, so I only know three ways to fix them: mashed, fried, and roasted. Since mashing them would destroy their good looks, I decided to roast them. I cooked them whole because they were so tiny and I spiced them up with chopped garlic and rosemary. Let me tell you, they turned out GREAT! Roasting the little potatoes in their skins turned them into packets of mashed potatoes that burst in your mouth. The rosemary and garlic was a perfect complement and gave the potatoes a luxurious flavor. They were so tasty and a perfect comfort food. 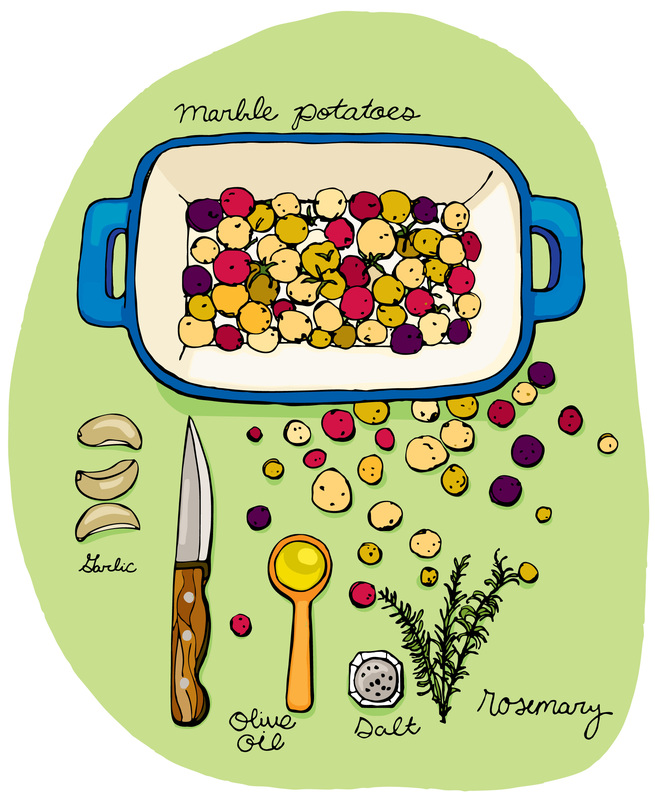 Place the potatoes in a baking dish in a single layer. Roughly chop 3-4 cloves of garlic and add the leaves from three sprigs of rosemary. Drizzle a teaspoon of olive oil and mix the potatoes to make sure they’re coated. Bake them for 40 minutes at 400 degrees, mixing them halfway through the cooking time. Living in the Bay Area is amazing but I miss North Carolina. I was born and raised in North Carolina and moved to the Bay Area after college. The Bay Area has some of the best and most diverse food in the world, but to to remedy homesickness I make southern food. There’s nothing more comforting than fried chicken in my book. I’m more of Southern chef now that I live in California than I ever was in NC. I never made cornbread or fried chicken when I was living in back home. (Granted, I didn’t do much cooking at all in college.) 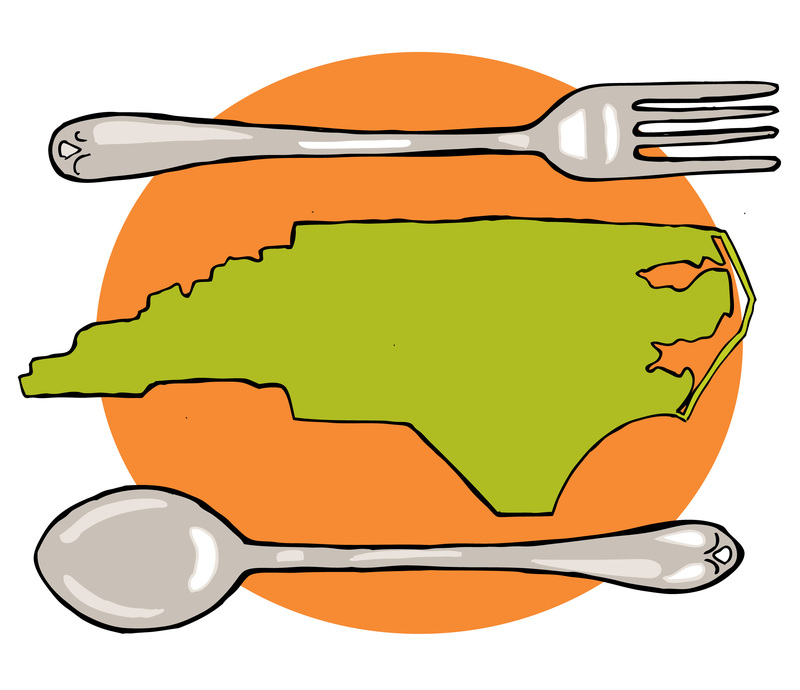 In NC, southern food is the norm; if anything, it’s harder to avoid than find. Here in the Bay Area it’s quite the opposite. Obviously, it’s not the South but there are a lot of us here! You would think it would be easier to find a good buttermilk biscuit in this town. Sheesh. When I picked up my CSA box this week I was excited to see that collard greens were included. 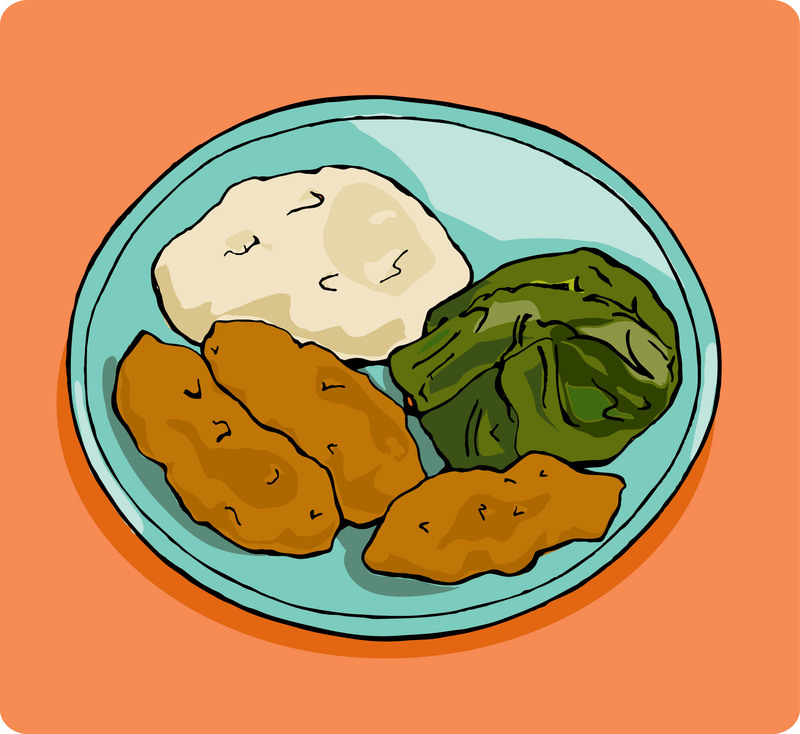 Then I noticed the potatoes and remember that I had some chicken in the fridge and I knew then what must be done… fried chicken, with collard greens, and mashed potatoes! Heck yes! Did I mention I love fried chicken? Because I L-O-V-E fried chicken. After being a vegetarian for almost six years it was fried chicken that brought me back. I’m still learning how to fry chicken but I must say this was a pretty delicious attempt. The mash potatoes were creamy and soothing and the collards were the perfect complement. It tasted like home. My southern boy was happy too; he didn’t stop smiling the whole way through dinner.